Cancer Research UK reports that these findings are now going to be investigated in three clinical trials that are set to begin. In addition to possibly increasing the effectiveness of existing anti-estrogen therapies, and maybe also lowering toxicity, another benefit of this potential treatment approach is that it involves existing drugs that are already well understood and widely used–and whose cost is low. It’s encouraging to see these studies going forward. I’ll be following developments in these trials with interest. In the meantime, I’m attaching below my earlier post, which includes some background on the role of the progesterone receptor and what the researchers found. About two out of three women diagnosed with breast cancer have the sub-type that is referred to as hormone receptor-positive breast cancer. This means that when tumor cells (from a biopsy or surgery) are examined under a microscope they’re found to have receptors for the hormone estrogen (they are “ER-positive”) and/or the hormone progesterone (they are “PR-positive). 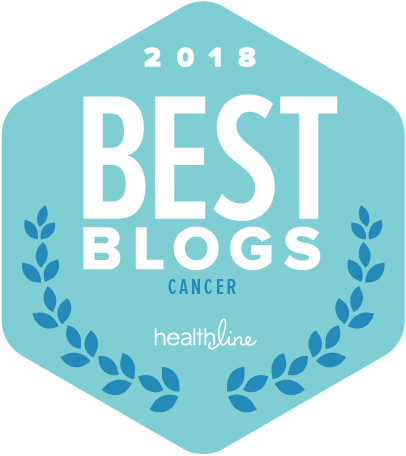 The prognosis generally tends to be somewhat better for this type of breast cancer, and there are several targeted hormonal therapies available. These treatment options, which include tamoxifen and aromatase inhibitors, focus on the sensitivity of this type of breast cancer to the hormone estrogen. These drugs work in slightly different ways, but the goal is to “starve” tumor cells of the estrogen they need to survive and grow. For hormone-positive metastatic breast cancer as well, there are a number of hormonal therapies available. These include tamoxifen and aromatase inhibitors and several newer drugs. All of these treatments work by interfering with the ability of estrogen to fuel the growth of breast cancer cells. But there are no therapies widely used today that target progesterone or its receptor in either early stage or metastatic breast cancer. Why do we even measure this characteristic at all if it doesn’t have any role in determining treatment? Delving into this question a little, I found that the role of the progesterone receptor in hormone-positive breast cancer has been somewhat controversial. The information about PR status has mostly been used to help determine prognosis. That is, a higher level of PR positivity (a numerical level is assigned) has been associated with a somewhat better outcome. And a lower PR level or lack of PR receptors (“PR-negative” breast cancer) is generally not as good a prognosis. Beyond this role in determining prognosis though, there is disagreement. Some believe that PR status has no role in determining treatment, and that there really is no need to continue measuring it. However, others are of the view that PR status is useful as a biomarker to help identify patients whose ER-positive breast cancer is most likely to respond to specific types of anti-estrogen treatments and to help in choosing the most beneficial treatments for these patients. 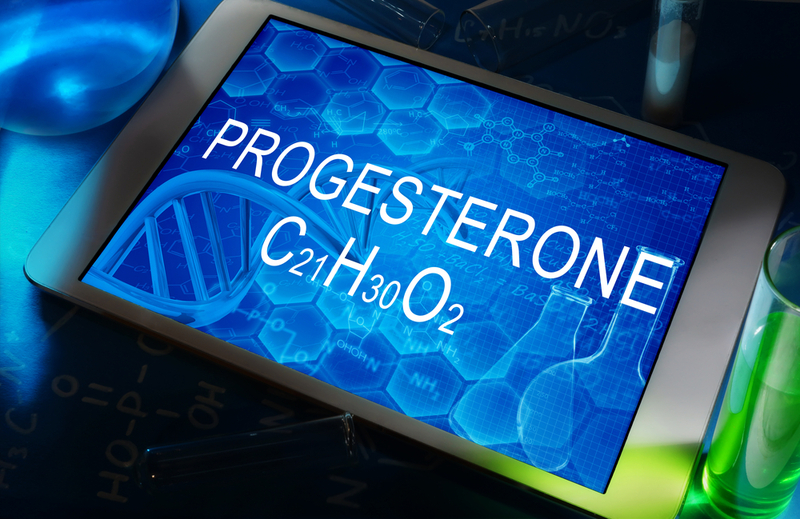 In this new study, researchers set out to learn more about how the progesterone receptor actually works. Conducting experiments in cell lines (human breast cancer cells grown in the lab), the researchers found that there is “cross-talk” between the progesterone receptors and the estrogen receptors on breast cancer cells. In other words, they found that the receptors are communicating with each other. And what was really interesting was that the more of this communication that was going on the better–this was because signals from the progesterone receptor served to tone down the pro-cancer activity of the estrogen receptor. In another set of experiments, the researchers implanted hormone-positive human breast cancer tumors into mice. They found that exposing the mice to estrogen caused the tumors to grow, while exposing the mice to both estrogen and progesterone actually caused the tumors to shrink. They also found that treatment that included the hormone progesterone, in addition to anti-estrogen therapy (tamoxifen), was more effective than just tamoxifen in reducing the size of the tumors. These findings will of course need to be confirmed in additional studies including clinical trials. And the possible side effects of combining the hormonal treatments would have to be evaluated. Hopefully, that follow-up will happen. An interesting aspect of this approach is that it would use an existing drug that is currently available as a generic. Finally, when talking about progesterone, there’s an important distinction to be aware of. The Nature article points out that there’s compelling evidence that including progesterone as part of hormone replacement therapy (HRT) increases the risk of breast cancer. However, the authors say the increased risk is mostly attributed to the synthetic form of progesterone that’s used in HRT. That increased risk, they said, is not significant when natural progesterone is used. Thank you for this information. I have always had a curiosity about how progesterone contributes to BC. I had very high level of progesterone (87%) and estrogen (99%) on my pathology report. But now they are saying progesterone may actually be helpful? This is all interesting and I look forward to knowing what researchers find out. Hi, Rebeca. I’m very interested too in seeing what they find out. I always wondered what the purpose was in measuring the level of the progesterone receptor because it didn’t seem like a whole lot was done with that information. Perhaps some new insights will come out of this that will be valuable for patients. Thanks as always for reading and for your comments! Almost seems counter intuitive. Fascinating though. Who knew?